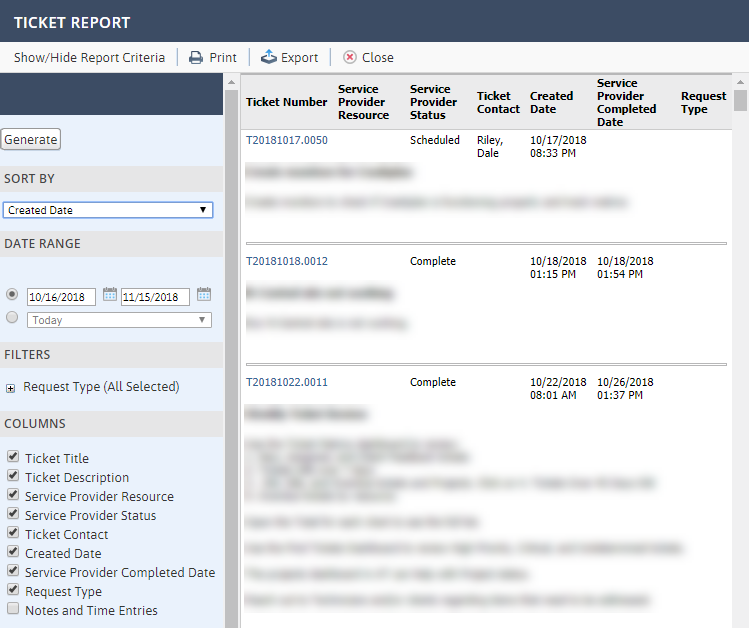 This ties in with Autotask, our ticketing system, and lets you get a better picture of what's going on with various tickets. Let's take a look at the information it provides and how to use it. 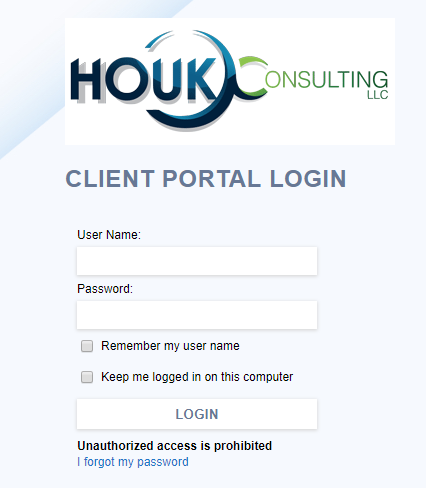 To access the Client Portal, hover over the Get Support link in the top-right of any page on Houk Consulting's website and choose Ticket Management Portal (you can jump to it with this shortcut). Here, you'll need to log in with the credentials provided to you via an automated email from Autotask. If you forgot your password, enter your business email into the User Name field and click I forgot my password to recover it. If you never received your credentials or need additional help, contact us. This gives you a quick look at your company's overall ticket status. You'll see various counts in the Tickets box. Click any ticket in the Open Tickets list to see more information about it. You can swap to the My or Waiting My Approval tabs here to see tickets you've submitted or where your input is needed. Rounding off the main page, you'll see a graph of ticket activity in the bottom-left. You can search for any of your company's tickets using the boxes at the top. Using the tabs along the top, you can access more information, as we examine below. As the name suggests, this is where you can find info on several ticket categories. 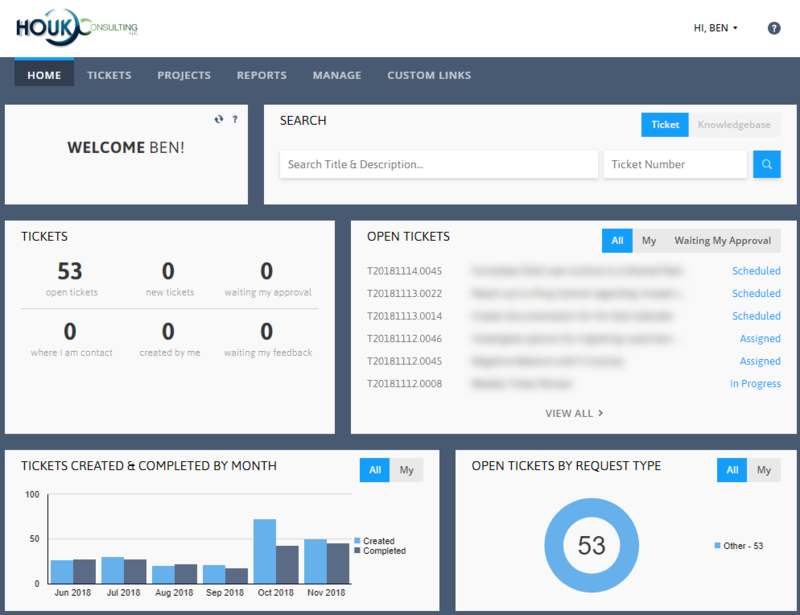 My Tickets lets you check on tickets you've created, while Open Tickets lets you see all the ongoing tickets for your company. Recently Completed Tickets shows you what we've finished up. Enter the Ticket Search section to look for a ticket by name, number, or date. Autotask's Projects feature lets you gather personnel, scheduling, issues, and more all in one group. They're useful for keeping track of ongoing work, and you can see everything related to them on this tab. Choose New Project Issue to add a task to an existing project. Otherwise, you can open My Projects to see all projects you're a part of. 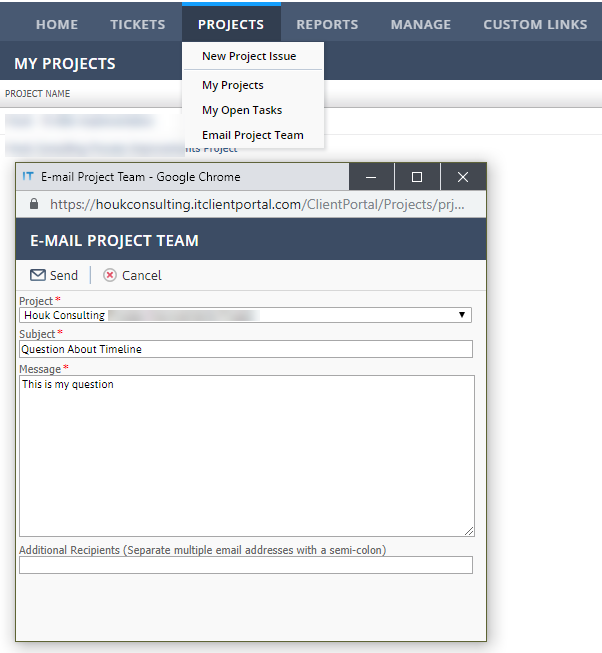 My Open Tasks shows what you're responsible for in a project, and Email Project Team lets you easily contact everyone involved in a project. Want to get data for many tickets at once all in once place? Check out the Reports section. Here you can generate a report based on several criteria. You might want to see all tickets from the last week so you can review their status, or something similar. Also importantly, this tab lets you keep track of your invoices with Houk Consulting. This helps you stay on top of your costs by letting you check it whenever you need. Under the Manage tab, you can check the status of your company's assets. This lets you review when hardware was installed, its serial number, and more. Under the Custom Links tab, you can click Submit Support Request. This opens a new window where you can enter your contact information and describe your problem. Doing so will create a new ticket in our system so we can serve you efficiently. Note that you don't have to enter the client portal to access this page. You can click Get Support at the top of the Houk Consulting website anytime to access the support request form. 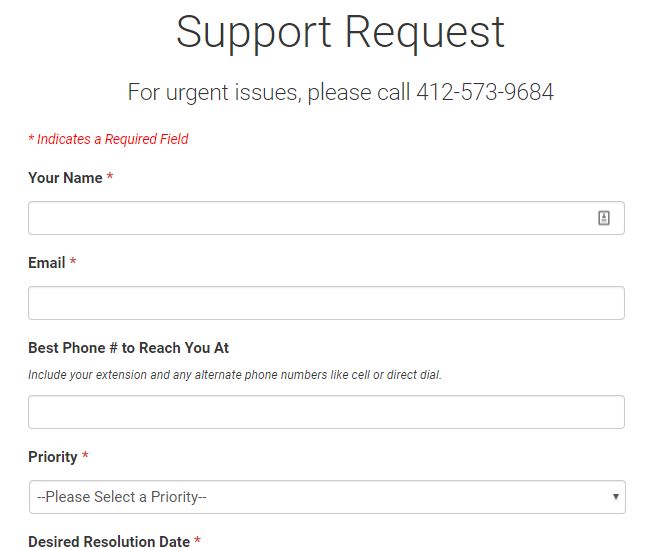 For urgent issues, please call our support number at (412) 573-9684. Now you know what the Autotask client portal offers you. 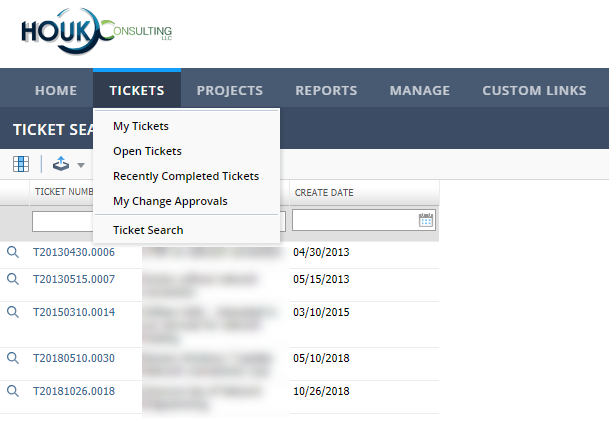 Whether you want to check what tickets are waiting on your input or just get an overview of your company's overall ticket status, this provides you with an easy way to do so.